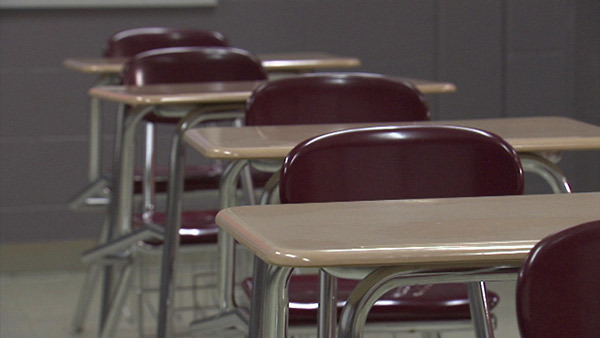 PERU, Ill. (WLS) -- Classes at a Peru school district in LaSalle County were canceled on Wednesday following a student's death on Monday. The student, who attended school in the Peru Elementary School District 124, died Monday after becoming ill Friday evening, according to the school district. An official diagnosis or cause of death was not immediately determined, the district said. "Tuesday evening, the child's parents informed us that they were contacted and the child may have died from another illness than what they initially thought. This immediately caused us to seek information and we have been in contact with various health agencies since that time. Since we could not verify with absolute certainty that there were no concerns, we decided it was best to cancel school for today," said a statement on the district website. The LaSalle County Health Department was made aware of the death by the school district. Illinois Department of Health guidelines were in effect. In a statement, the county health said: "We understand there is concern. We were made aware of the school's decision to close this morning. We are working in conjunction with the school district and the Illinois Department of Public Health on this ongoing investigation. Any type of health action that needs to be taken, those individuals are being notified." The Northview Elementary School maintenance staff planned to conduct additional cleaning procedures at the school, according to the school district. School district officials did not immediately respond to requests for comment Wednesday morning. Peru is located about 100 miles southwest of Chicago.